You taught me to speak fearlessly what God has put on my heart. At the same time, you taught me to enjoy serving the family and for that service to be loving and gracious. I fondly remember how much fun and laughter happened at your dinner table. You were ruthless about getting us there on time and then, the best fan to laugh at jokes with messed up punch lines. You taught me to work hard and get it right. Your work ethic shaped me in ways that have blessed our family. You left a big hole to fill when you left to go to college in the United States. I was surprised that I could step up the plate and begin to serve in a new capacity. You had paved the way and in that pathway that I continued was birthed my greatest passion today – to connect with others in speaking. I’ve had a series of tough women bosses who saw my potential and expected more of me than I ever thought I could do. I resented the pressure, yet benefited from the high standard. I quickly learned that I did indeed have a voice if I organized my thoughts and presented it with confidence. Send them a note, email, text or letter giving details of the difference they made in a critical time in your life. Be specific about their influence and direction. Report back the ripple effect of gratitude toward key women in your life. 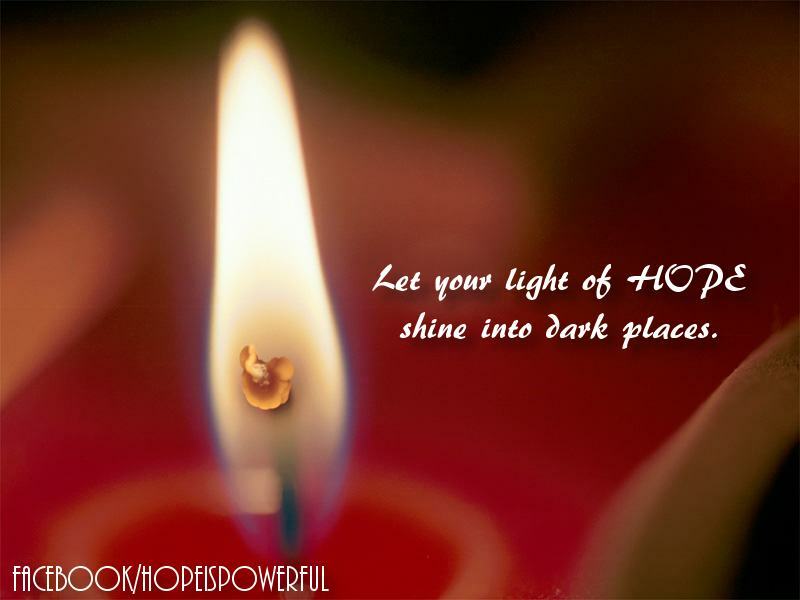 How can you shine your light of hope into dark places? Let’s get the discussion going. Author, speaker, corporate trainer and Hope Catalyst, Karen Sebastian enjoys sharing her rich life experiences with others – engaging them in adventurous discoveries of the beauty of hope in a dark, cloudy world. To increase hope and improve relationships with yourself and those that you love, click here. We live in a negative world so it’s important to build up our Hope Reservoir. Here are ten ways to increase your level of hope. The quickest way to pull the plug on your hope reservoir is to become self-absorbed. When feeling despair, look around to see who needs some help. It can help you regain your perspective quickly and cause you to recognize the things for which to be thankful. 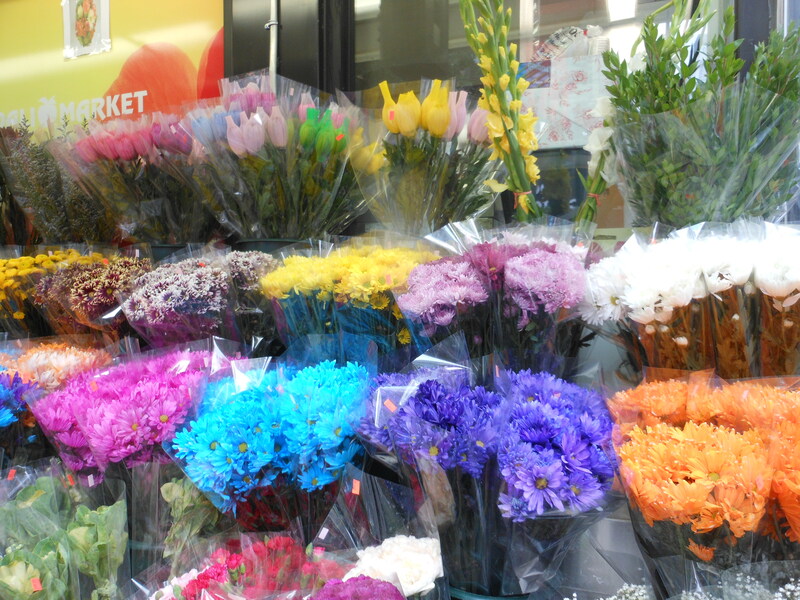 Buy someone some flower. Sweep their sidewalk or shovel their snow. There are two parts to this hope restoration technique. The first one is that the sun provides vitamin D that help you feel better. The other is that as you walk you will get your blood circulating more effectively to your brain. This in turn will cause you to think more clearly and, as a result, feel better. Music has a way of reaching our very soul. Our brains are affected by the melody and rhythm. Choose songs that make you feel better and lyrics that encourage your participation to sing along. If you are a musician, get out your instrument and make you own music. Sing along and raise your hope level. I personally do not usually use recipes. It’s probably because the cooks I’ve been around, just always seemed to have a feel for how much of any given ingredient to add to the soup. There is also great encouragement in sharing a meal and bonding as we break bread together. Hope increases as we open our minds to new pathways and possibilities. The other hope boost comes from interacting with others. Get out of your comfort zone and learn to do something you’ve always wanted to do. Make a list and ask others who do that well to show you how to do it. You’ll be pleased to see what you can accomplish. You become like who surround you. If you want to have amazing hope levels, surround yourself with positive, encouraging people. You may have to get away from certain people until you are stronger. Hope is contagious and can set the tone for your home, job and life. Truth sets us free. What inspires you to have hope. My favorite hope verse is Romans 15:13 “May the God of hope fill you with all joy and peace as you trust in Him, so that you may overflow with hope by the power of the Holy Spirit.” I have this one memorized. I have it written on a card that is taped to the wall by my work computer. Pick a spot and start cleaning off the clutter. Get rid of stuff. Use the one year rule – if you haven’t used it in a year – donate it to someone who can use it. Hope increases as we get a handle on our lives and what is happening around us. Get involved in a worthy cause. You will feel like you’re making a difference and you will be interacting with others. That’s a wonderful hope-filled combination. What are some ways that you boost your hope? I would love to hear from you. What’s standing in the way of your success? Often, our doubts and self-talk become our greatest hindrances. I have needed to overcome negative ways of thinking as an entrepreneur. Unfortunately, when we sit and think about the negative side of things, we begin to speak from that place and sabotage our own success. Negativity becomes a poison that drains our initiative and energy. If you are struggling with any of these thoughts, use these Hope Antidotes like a rope to climb out of the pit of despair. This looks too complicated (hard). Hope Antidote: The first time you start learning how to do anything, it may seem difficult, uncomfortable and overwhelming. To move forward, break it down into smaller steps and ease into it gradually. OR, be like me and jump in to the deep end. Whichever way you choose to move forward, the key is to do just that. 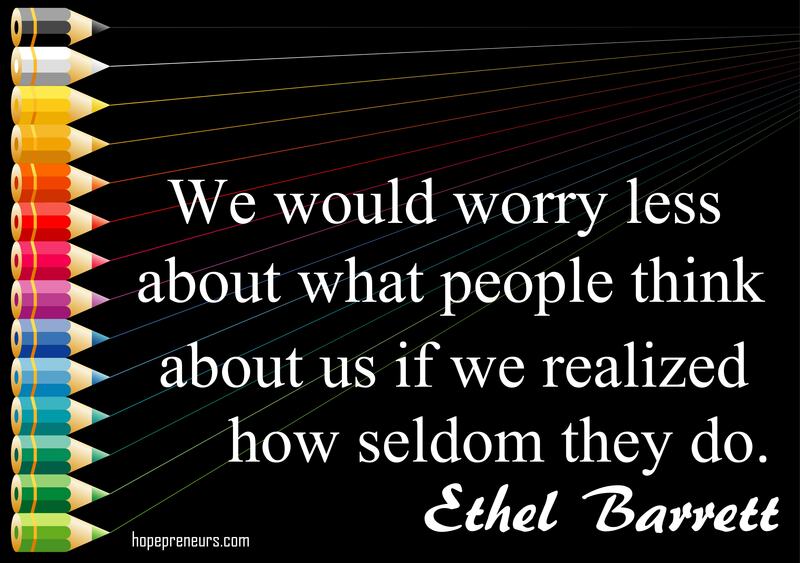 Hope Antidote: “We would worry less about what people think about us if we realized how seldom they do.” Ethel Barrett I love this saying because it makes me realize that I do not have to waste any valuable energy and time on what others will think. It’s been my experience that when I am moving forward the ones that really matter in my life are cheering me on. I don’t have enough _______ (time, money, talent, etc.). Hope Antidote: Take stock in what you DO have and not what you lack. Ask those around you to help. Share what you have with others and create a hope chain of resources. That’s my vision for women entrepreneurs: helping each other to succeed and creating hope in future generations successful business owners. I can’t handle all the ___________ (pressure, work load, etc.). Hope Antidote: Take a look back at all the challenges you’ve faced in your life so far. When we look ahead and project the difficulties they can start to grow. Instead, move forward and deal with each issue (aka problem) as it arises. You have a great track record or you wouldn’t be reading this blog. Hope Antidote: Who sets the standards? You do. Imperfect progress is better than perfect planning. I’m all for having a plan in place, yet you need to take some steps forward, adjust and learn as you go. I don’t want to leave others behind. Hope Antidote: Sometimes those closest to us do not support what we are doing. If you are passionate about making your ideas a reality, continue to move forward even if others do not follow immediately. Remember, they do not see the vision that you see. Sometimes the best way to get them on your side is to show them that you can carry out what you’ve set out to do. I could never do _________. Hope Antidote: Challenge your doubts. Set you fears aside. Go for it! The main reasons we don’t think we can do something is because of the limits we put on ourselves. What’s the worst that can happen? You don’t try it. Last time I tried something like this, it didn’t work. Hope Antidote: The difference between failure and success lies in the way you approach your obstacles and failures. Successful business owners use these as ways to learn, adjust and improve. If it’s supposed to happen, it will. Hope Antidote: Sometimes when we look at others who are where we want to be, we can believe they were just lucky. They worked hard to get where they are. You can do it too, if you just don’t give up. Do you relate to any of these barriers? What are yours? What about the Hope Antidotes? Are there any that have pulled you out of a negativity trap? Copyright (c) 2012 Picture Hope International, Inc.